Some residents have a long weekend for Martin Luther King Jr. Day, and there will be plenty of chances to learn about King’s legacy or give back to others. Find out what activities are on tap for this weekend. · Kids ages 9 to 14 are invited to participate in the Knights of Columbus for Marlton, Councils №6530 and №12229 Free Throw Championship on Saturday from 1:30 until 2:30 p.m. in the gym at St. Joan of Arc Parish, located 100 Willow Bend Road in Marlton. To participate, kids must be accompanied by a parent or guardian and bring either a birth certificate or passport. Anyone with questions can contact Ted Shearer in the evening at (856) 983–3798. · Temple Sinai in Cinnaminson is hosting a blood drive on Sunday. The drive will take place from 9 a.m. to 2 p.m. at 2101 New Albany Road in Cinnaminson. Donors are asked to bring a driver’s license or two other forms of identification and wear clothing that can be raised above the elbow. Donors will receive a free medium coffee and a donut at Dunkin Donuts. To make an appointment, visit www.redcrossblood.org and use the sponsor code Temple Sinai. Walk-ins are also welcome. Dozens will dive into the frigid Atlantic Ocean down the shore on Saturday. The Special Olympics Polar Bear Plunge is scheduled for 1 p.m. in Wildwood. Registration will begin at 10 a.m. at the Wildwoods Convention Center. Proceeds will support training and competition for more than 25,000 athletes of Special Olympics New Jersey. Registration the day of the event is available for $125. For more information, visit https://www.classy.org/event/2018-plunge-at-wildwood/e140941. Ocean City will be honoring the memory of Martin Luther King Jr. during a ceremony on Saturday. The ceremony will take place from 1 to 3 p.m. in the William & Nancy Hughes Performing Arts Center, located at Ocean City High School, in Ocean City. Following the ceremony, there will be a soul food dinner featuring fried chicken, macaroni and cheese, corn bread, collard greens and more. For more information, call (609) 399–6111. · The African-American Museum in Philadelphia will be hosting a series of special activities this weekend in honor of Martin Luther King Jr. The community is invited to the museum for three days of interactive arts activities, performances and workshops at the museum. Admission to the museum has also been reduced to just $2 this weekend. The museum is located at 701 Arch Street in Philadelphia. For more information and a full list of weekend activities, visit www.aampmuseum.org/mlk.html. 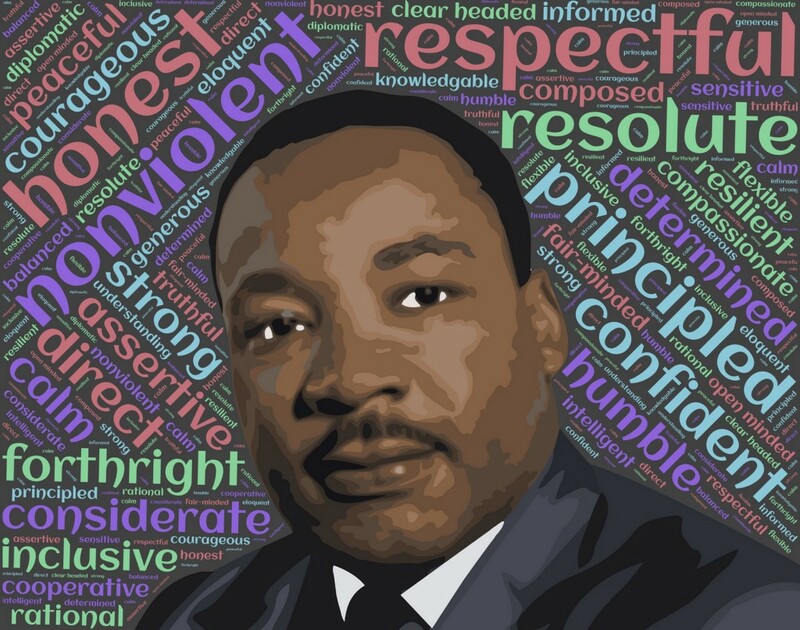 · Eastern State Penitentiary will also commemorate the life of King with special readings from his 1963 Letter from Birmingham Jail this weekend. Professional actors, youth readers, & community leaders read excerpts from King’s letter three times a day on Saturday, Sunday, and Monday at 11:30 a.m., 1:30 and 3:30 p.m. A question and answer session will follow each reading. Guests can listen to readings of the letter and enjoy family activities for free. For more information, visit www.easternstate.org/visit/events/dr-martin-luther-king-weekend.